The most common requested feature in a digital workplace is the employee directory. The 10 best intranets nominated by Nielsen Norman Group in 2018 all had an employee directory on the homepage. In this blog we explain the importance of the employee directory and our tips on how to make yours succeed. For organizations of all sizes it’s unrealistic to expect that employees know all their colleagues on a personal level and can find the right team member (based on their title, location and/or skills) to help them get their job done. This is particularly true for organizations with disparate locations and remote workers. Employee Directories allow everyone in the organization to find people and expertise quickly and easily. Over time organizations have realized improvements to resource utilization and collaboration by entrusting employees with key information about their colleagues, like phone numbers, job titles, email address, department, and location. Technology has allowed employee directories to evolve from primitive paper lists to highly structured and automated systems integral to the digital workplace. The employee directory aims to be the single source of truth for employee information. What makes up an employee directory? Employee directories are all about people and connecting employees. They are made up of employee profile information. 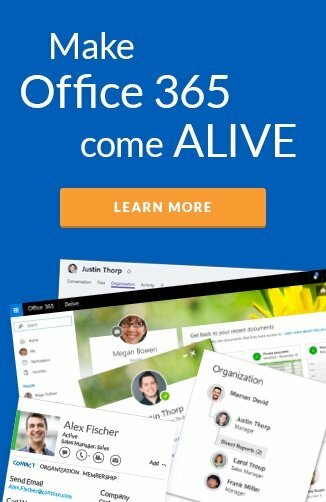 For companies on the Microsoft platform the source of truth for this profile information is most commonly Active Directory (AD) or Azure Active Directory (AAD). Over time many organizations have expanded the information they gather about employees and make available via the employee directory. For example, the following attributes are all helpful information to assist in building project teams and enabling employees to connect with subject matter experts. We all engage with co-workers on many platforms, the employee directory gives us a quick way to find contact details to connect, rather than sifting through emails hoping they have an accurate email signature. Knowing the department someone belongs to, as well as who they report to and work with, helps employees understand what tasks they can collaborate on. It also allows you to know who you can talk to if they are away. 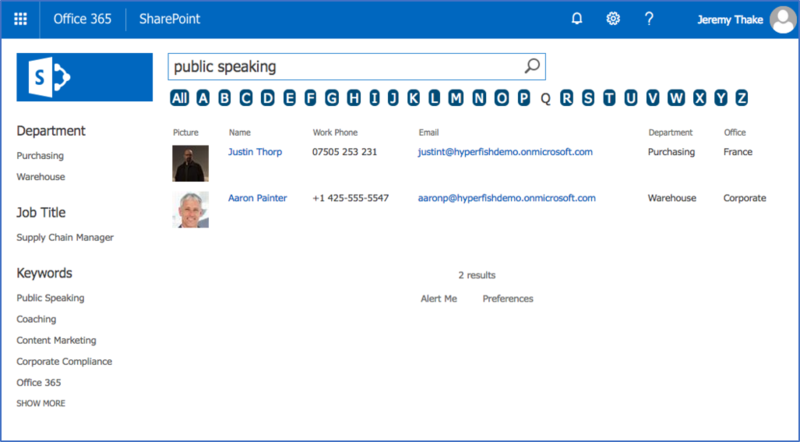 Head to this link for more on Org Charts in Office 365. Meetings and phone calls are often more effective than back and forth email communication. Knowing where someone is located, allows for meetings to be quickly organized or helps to determine the best time to call them if they are in another time zone. Regardless of the office environment, all employees should know who to go and who's instructions to follow if an accident occurs. The employee directory is a key resource for new team members to learn about their new colleagues and for others to learn about them. it helps new employees get up to speed quicker and contributing faster. Whether it's putting together a project team, gaining feedback, finding a mentor, or finding someone to collaborate with; the ability to search for people with specific skills allows users to locate experts across the entire company. Make it an integral part of the corporate intranet landing page for all your employees and never have them wondering where they need to go to find someone. Build company pride and make it consistent with "look and feel" of your digital workplace. Avoid confusion by using the familiar terms used within the organization i.e. use division, branch or unit rather than department. Employees want confidence in the information they are presented. Having gaps in your employee directory and out of date information is a surefire way to make it redundant. Make the search box prominent on the page and ensure results returned are fast and accurate. Ensure the directory is a tool that people want to use by making sure the search interface and results are displayed in logical manner, with appealing fonts and colors that align to your corporate brand. At Hyperfish we are passionate about employee profiles and the business benefits realized when profiles are complete and up-to-date. 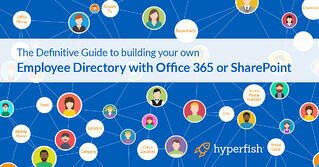 It’s for this reason we collaborated with industry experts in Microsoft SharePoint and Office 365 to bring you this comprehensive guide to build your own SharePoint or Office 365 Employee Directory. The guide includes step by step instructions to build an employee directory in that works with SharePoint Server 2010 onwards and Office 365 SharePoint Online.